Taking the hassle out of accounts – what’s not to love?! Unless you run your business from under a rock, you’ve almost certainly heard of QuickBooks Online. The go-to accounting software for UK SMEs has been around for over two decades. But what makes it so great? QuickBooks Online was designed with ease of use in mind. The interface is intuitive and simple to navigate, even for die-hard technophobes. You simply pop your numbers in the right place, and it does all the hard work for you with absolutely no complicated formulae to remember. It’s one of those lovely bits of kit where even if you only know the basics, you’ll find it suits your needs, but it also has a load of great features which, given some time to learn, can help you get a deeper handle on your finances. And if you ever have any burning questions, there are loads of great resources out there to help. Some versions have free support, but for everything else, the web is full of friendly QuickBooks aficionados (we’re hesitant to call them nerds, but some of these folk really do love QuickBooks Online!) offering video tutorials, top tips and troubleshooting advice. It’s all well and good knowing just what your numbers are, but sometimes it’s not so easy to work out what they mean. One of our favourite features is being able to access reports, which give you a clearer view of the inner workings of your business. Far more than just a slew of fancy-looking graphs and charts, they can show you your finances from a perspective you’ve never seen before. We’ve seen so many cases where reports have highlighted major financial red flags that business owners were completely oblivious to. Check out our recent case study – with the help of QuickBooks Online, we helped a busy bakery increase its profits by over 50%! Ask anyone in business what they want more of, and aside from money, they’ll probably say time. Time to spend developing the business, time with the family or just some time to relax. We don’t want to sound obvious, because the clue is in the name, but QuickBooks makes accounting quick. Besides the time you save from not having to crunch all those numbers, you can directly link your business bank account, and cut down on mind-numbing data entry. 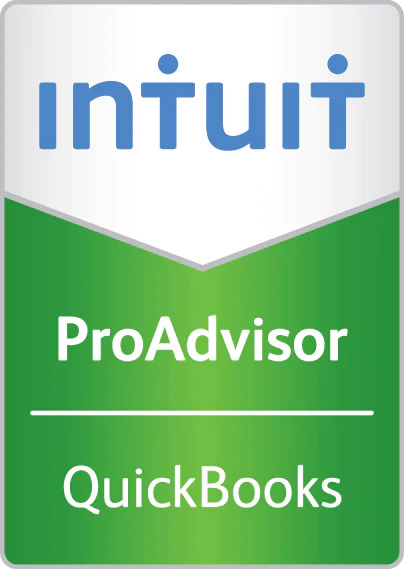 QuickBooks Online takes things a step further. If you’re comfortable with your accounts existing in the cloud, you can send invoices or pay bills on the go, and any recurring transactions can be automated. It’s also super-accessible, so you (or your accountant) can keep an eye on it from pretty much anywhere, without being chained to the office. You’ll spend less time book-keeping and more time doing what you do best, whatever your business. For more details on QuickBooks Online or online accounting, get in touch today.